The engineers are Technical Pro have all of your sound distribution and reinforcement needs. They have been repeatedly putting out high quality professional audio products are built to last and 100% consistent in producing a high level of quality professional sound. The XO3 is a professional 3-Way Crossover with subwoofer output. If you are designing a sound stage, setting up your studio or even setting up an indoor or outdoor venue such as a conference room or even your yard or deck, properly sending your sound to the correct speakers is a must do. The XO3 is your answer in setting up a professionally distributed sound system and speaker set up. The XO3 is an audio crossover. Audio crossovers are a class of electronic filter used in audio applications. Most individual loudspeaker drivers are incapable of covering the entire audio spectrum from low frequencies (think subwoofers) to high frequencies (think tweeters) with acceptable relative volume and lack of distortion. Therefore most hi-fi speaker systems use a combination of multiple loudspeakers or drivers, each catering to a different frequency band. Crossovers split the audio signal into separate frequency bands that can be separately routed to your amplifiers and then loudspeakers which are optimized for those bands. Connect your speaker set up to this system and you will be able to control the frequency bands going to specific speakers. You will be able to control the frequency output you want for each type of speaker. You will also be able to send your sub-frequencies to a subwoofer loudspeaker. 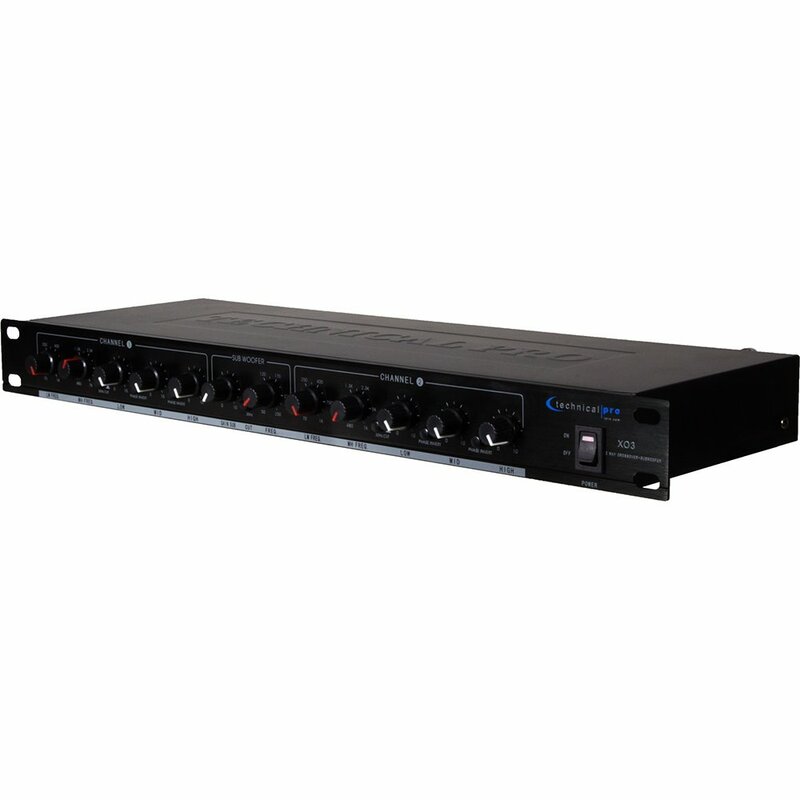 The inputs are balanced XLR and 1/4” jacks and the outputs are balanced XLR. Connect your sound source to the XO3 input and then output to your amplifiers to then power your speakers. The controls will allow you to split your bands and send the low frequencies to your subwoofer speakers, mid range frequencies to the horn drivers and mid-range speaker boxes and the high frequencies to your tweeters. Properly channeling the correct frequency to the correct speakers is the correct way of designing sound and speaker fields. Professional sounding design is a must in today’s music and audio world and the XO3 is your answer...and a cost that won’t break the bank!